Julie is part of Alan Cowman's group at WEHI. The Functional Genomics Unit is the translational research arm of the Cowman group. Their main research area is how malaria parasites recognize and invade blood cells and they are exploiting that knowledge to develop a vaccine that will prevent malarial disease. 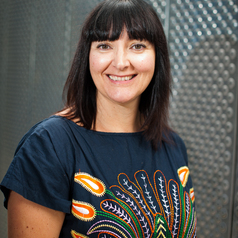 Vaccine development has been a major focus throughout Julie's research career from PhD in Edinburgh that investigated naturally-acquired transmission-blocking immunity to malaria, followed by a postdoctoral fellowship at WEHI studying genetic diversity and immune evasion of a leading malaria vaccine candidate. In the last year, with international collaborators, the group has developed a genetically-attenuated live parasite vaccine for Phase I clinical trials in the USA, which is the first of its kind for malaria and completed a genomic and functional screen to identify novel vaccine candidates.